Cybersecurity breaches are making headlines almost on a daily basis. The last 18 months have brought attention to major brands such as Target, Sony, Home Depot, and Anthem Blue Cross, but these are only the tip of the iceberg�the problem is getting more pervasive every day. 1) Traditional cybersecurity involving networks and other general information systems such as e-mail, social media, mobile platforms, cloud infrastructure, file storage and general business applications. 2) Cybersecurity as it relates to real estate-specific information systems such as property management, lease administration, finance, treasury and other tenant related activities. These information systems contain personal information on tenants and could prove to be a target. These systems also manage cash applications that could prove to be vulnerable. For example, is there a protocol in place that deletes direct deposit bank accounts for terminated employees? 3) Smart, �connected� buildings are an additional potential threat for the commercial and corporate real estate industry. From mischievous behavior such as �turning out the lights� to serious physical damage and potential threat to human life, building systems need to be locked down. 4) Physical security involving next generation facial recognition, wireless activity umbrellas, advanced sensor threat detection and other emerging technologies that provide security but require a fair amount of knowledge and sophistication to implement and maintain. As you begin to compile the list of considerations, ranging from policies for �thumb drives found in the parking lot� to cybersecurity governance procedures of vendors utilizing a cloud architecture, the list is long. 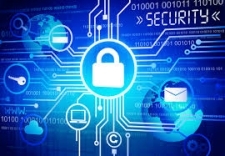 That leads to the question: �Is my organization capable of delivering the level of cybersecurity that executive leaders and boards are demanding?� With many firms unable to afford a Chief Information Security Officer (CISO), organizations are looking for options such as consultants and outsourcing firms. The difficulty in that collaborative situation is that the cybersecurity requirements for a real estate organization are so broad that it might require multiple organizations, creating coordination and overlap issues. Outsourcing costs also begin to mount, thus putting pressure on budgets that were prepared prior to these demands. Planning a defensive strategy requires staying one step ahead of the villain. Who are the potential perpetrators? What are the different types of cybersecurity threats they might pose? A former employee who has been held in high trust for a number of years needs to be considered in the same way a terrorist from half way around the world would be. Understanding the motivation, potential threat exposure and response is critical. This matrix becomes more complex if you begin to question the trustworthiness of all human relationships, including employees, business partners and tenants. Given that we are just beginning to explore the potential of the cyber and physical security threats to our industry and that technology is getting more powerful and sophisticated, it is safe to say that this topic requires assessment and a vigilant plan. At a time when we don�t know what we don�t know, discussion, debate, research and collaboration are our best tools of defense. Securing the entire technical infrastructure of a commercial real estate organization is a daunting task; leveraging knowledge and experience of those with legitimate domain experience is critical. Given the high demand for information on this topic, Realcomm | IBcon will be hosting a Cybersecurity Forum for Commercial and Corporate Real Estate during our annual convention on June 8th in San Antonio, Texas. This preconference event will include executives from the Department of Homeland Security, the FBI, leading technology providers, industry thought leaders and more. Now in its fourth decade, Yardi� is committed to the design, development and support of software for real estate investment management and property management. With the Yardi Commercial Suite�, Yardi Multifamily Suite�, Yardi Investment Suite� and Yardi Orion� Business Intelligence, the Yardi Voyager� platform is a complete real estate management solution. It includes operations, accounting and ancillary processes and services with portfolio-wide business intelligence and platform-wide mobility. Yardi is based in Santa Barbara, Calif., and serves clients worldwide from offices in North America, Asia, Australia, Europe and the Middle East. For more information, visit www.yardi.com.